And speaking of lecithin, and other types of phospholipids, and the good fats in general, I just watched/heard a preview last night, of a series on Alzheimer's Dis., beginning on July 23. This is the second series on A.D. I will have watched, and the episode I heard last night was so packed with info. it literally blew my mind. One of the things Dr. Shade talked about was lecithin and how it plays a role in helping remove toxins from the body. I plan to listen again, or maybe DL the text transcript, which is also free. I'll find the link and post it here, as one can never know too much about Alz. Dis. That makes sense, that lecithin would be able to detox the body, being that toxins are often stored in fat, and lecithin is capable of emulsifying those fats into the water-based blood plasma for elimination. Lecithin contains glycine, which is the smallest amino acid and one of the three major detox substrates in the liver. Your explanation makes easy to understand, the process of how lecithin helps detoxify. Glad you mentioned glycine, as I just read an article from greenmedinfo.com this morning about how Roundup's ingredient, glyphosate is actually a glycine with a large side group attached at the 'N', and that glyphosate can, and will, substitute for glycine, (?or possibly even displace glycine and fill that slot with itself? ), in many reactions in the body. Glyphosate can "pose as" glycine in the creation of proteins, as glyphosate can fill in where glycine is needed. There was much more, but it totally explained how glyphosate is a "Trojan Horse" of sorts to bring toxins into animal physiology, where it "pretends" to be a normal glycine. Now that you've mentioned that, it makes one wonder if, during the manufacture of eggs by chickens, if glyphosate is present, then will the hen somehow be able to utilize glyphosate in the making of lecithin? Yikes and double yikes. Certainly makes clear why organic lecithin would be a better buy than the non-organic kind, for those who buy supplements. After all, GM corn and GM soy are major ingredients in non-organic chicken feed, so if mama hen is ingesting GM corn, while preparing to lay eggs, would any of that glyphosate (which is part of every single cell in GM crops) substitute for glycine in the lecithin that is incorporated into eggs? Lots of food for thought. That is a really scary thought, and yes, bioavailability of glyphosate due to glycine inter-changeability would indeed make it more toxic, as so many processes in the body depend upon glycine. It is encoded by all the codons starting with GG (GGU, GGC, GGA, GGG). They also claim to be developing a do-it-yourself test kit to be done at home. Truly fascinating that scientists have discovered ways to prevent glyphosate from entering the cells, and also discovered ways to remove or deactivate the toxins once they've reached the cell. Wouldn't you know--the solutions are herbal, and right out there in Nature! since 2008 i've been following One Radio Network [Patrick Timpone] where all kinds of (particularly) health issues are discussed daily by (often the) cutting edge researchers of the day. Discussing the benefit and need for (high-quality) MSM, it's often mentioned there that (so-called) modern agricultural tactics have effectively destroyed the sulfur cycle in nature, causing foods to be sulfur-deficient; hence the need for sulfur supplementation. That's quite a menu Soc! I also like to take taurine, ALA-acetylcarnitine, and cottage cheese for the sulfur content with high electrical charge. Would organic garlic and organic brassica veggies fill the bill for sulfur? I do agree modern agricultural practices have probably destroyed the sulfur cycle, and probably many/most other important cycles, but if food is grown on carefully nurtured soils that haven't been ruined by conventional methods, they might stand a chance at "goodness". We make sure our goats get a little garlic every day, no matter what else they have, and it is primarily for the sulfur content. It seems to be excellent for their skin and coat. Re the cottage cheese, I too try to include a little every day--an excellent food. My guess is that the organic alliums and brassicas would be a high-quality source of sulfur, which may even exist in an easily assimilated colloid form in the juices of those veggies. Cottage cheese would also contain sulfur in another bio-available form, being attached to an amino acid (a.k.a. "sulfurated amino acid"). 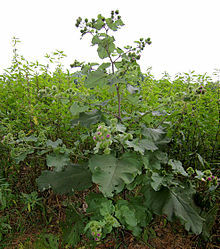 (Naturalhealth365) With its spiky purple flowers and dull green leaves, milk thistle may appear to be nothing more than an ordinary weed growing wild in vacant lots and fields. Yet, when it comes to fighting disease and promoting healing, this unimpressive-looking plant is truly a shining star. Milk thistle, scientifically known as Silybum marianum, is prized by natural healers for its ability to treat liver ailments – including nonalcoholic fatty liver disease, currently reaching epidemic proportions in the United States. But supporting liver health is not milk thistle’s only gift. Discover how this extraordinary herb can help you. The active ingredient in milk thistle, an antioxidant flavonoid known as silymarin, reduces the inflammation and oxidative damage that can trigger cancer. In addition, it helps to preserve glutathione, the body’s premier inflammation-fighting antioxidant. Scientists have known for some time that milk thistle may act against cancer. In a review conducted in 2007 at the University of Minnesota, researchers cited “strong evidence” for silymarin’s liver-protective and anti-cancer effects. Significantly, they credited silymarin with combating cancer by inhibiting the binding of toxins to cell membrane receptors. In a new study published in The International Journal of Oncology, researchers found that silibinin, a form of silymarin, suppressed chemoresistance – in which cancer fails to respond to the effects of drugs. The team noted that silibinin also prevented further malignancy, protected against potentially cancer-causing DNA mutations and inhibited tumor growth. In other research, researchers found that silymarin also helps to prevent liver damage from chemotherapy, while protecting skin and mucosal lining from damage from radiation therapy. Overgrowth of Candida albicans, a common fungus, can cause symptoms of fatigue, “brain fog,” digestive problems and skin rashes. And, a growing problem of drug resistance in pharmaceutical antifungals – which parallels the current epidemic of antibiotic resistance – can make Candida difficult to treat. Researchers have found that silymarin can penetrate the cell membrane of the Candida microbe, stopping the growth and spread of the pathogen and helping to clear the overgrowth. Silymarin is also effective in blocking and inhibiting biofilms, layered communities of pathogenic microorganisms that are stubbornly resistant to treatment. For the past thousand years, herbal and Ayurvedic healers have been advising milk thistle to treat diabetes – and modern research confirms the value of this ancient remedy. In one recent study, a 90-day course of a combination of milk thistle, boswellia and nettles slashed hemoglobin A1c levels – a measure of blood sugar over several months – by a substantial 19 percent. The herbal combination also drastically reduced blood sugar levels – from an average of 150 to 180 mg/dL down to an average of 124 mg/dL – and reduced triglyceride levels as well. In addition, a just-published cell study shows that silymarin protects the retina from diabetic damage– a common consequence of the disease. Milk thistle’s main claim to fame, of course, is its ability to improve liver enzymes, rebuild liver cells and alleviate liver ailments. In addition to easing hepatitis and cirrhosis, milk thistle shows promise in treating nonalcoholic fatty liver disease and halting the progression to steatohepatitis, a more serious form of the condition. Research has supported milk thistle’s beneficial effects on liver disease, with one study showing that hepatitis patients treated with silymarin returned to work sooner, and experienced less depression and anxiety, than those in the control group. In addition, milk thistle helps to detoxify the liver and to protect against injury from heavy metals and drugs. In a review published in Phytotherapy Research, the team credited silymarin with reducing liver injury caused by an array of toxins, drugs and heavy metals – including acetaminophen, carbon tetrachloride, radiation, alcohol, iron overload and Amanita phalloides, a type of poisonous mushroom. (Bonus: milk thistle’s protective effects extend to the stomach, as well. The herb has been shown to suppress gastric inflammation and protect against ulcers caused by non-steroidal anti-inflammatory drugs). Yet another surprising benefit of milk thistle is its ability to function as a natural mood elevator. Animal studies support its ability to reduce anxiety and depression caused by traumatic brain injury, which it appears to do by reducing activity of microglial cells caused by disturbance in the neural circuits between the limbic system and the cortex of the brain. In one study, silymarin performed as well as the pharmaceutical drugs fluoxetine (Prozac) and diazepam (Valium) in supporting mood. Researchers noted that silymarin reversed stress-induced changes to the hippocampus and cerebral cortex, while boosting levels of the neurotransmitters serotonin and dopamine. Because of silymarin’s ability to reduce inflammation and neurodegeneration, researchers are even exploring its potential to prevent and treat Alzheimer’s disease. How should I take milk thistle? For detoxification, experts recommend temporary short-term dosages of 150 mg, taken one to three times a day. For liver support, maintenance and longer-term use, an integrative healthcare provider may recommend dosages in the area of 50 to 150 mg a day. For best results, use a formulation standardized to 70 to 80 percent silymarin. As always, consult with your doctor to determine if milk thistle is right for you, and to arrive at a proper dosage. Milk thistle is generally considered safe and is well tolerated – but can cause mild digestive upset in high doses. (Note: if you are allergic to any member of the aster family – such as daisies, ragweed, marigolds or chrysanthemums – don’t take milk thistle). Milk thistle has long been revered for its ability to cleanse and detoxify the liver. But recent research confirming its ability to treat other diseases demonstrates that this herb is both valuable and versatile. I like to make a blend of iced tea using the Alvita milk thistle tea bags + green tea + black tea + Alvita hawthorn tea. Drunk daily, it is a nice gentle tonic that addresses several tissues, organs and systems. The milk thistle even has a faint sweetness to it. The only downside is that it leaves the tea pitcher a bit slimy, and in need of a good scrubbing periodically. So milk thistle is really worth trying. It is such a beautiful plant--not fun to touch though! Do you drink your tea while relaxing in the morning, or afternoon? Well, up until recently I drank it all day long in lieu of water, but have altered the balance toward drinking more water during the day, sometimes with baking soda stirred in.